Pennsylvania's Democratic and Republican senators illustrated the split over Supreme Court nominee Brett Kavanaugh on Friday, with Bob Casey calling for an FBI investigation into accusations of sexual assault and Pat Toomey urging a public Senate hearing followed by a prompt vote. Neither signaled that either step would change his views on the nominee, who could cement a conservative majority of the court if he is confirmed by the Senate. Casey, a Democrat who announced his opposition to any of President Trump's potential Supreme Court picks even before Kavanaugh was nominated, said the FBI should look into a claim that the judge groped a fellow high school student, pinned her down, and covered her mouth when she tried to scream at a party decades ago. Kavanaugh has firmly denied the accusation. Casey characterized an FBI investigation of the accusation by Christine Blasey Ford as an update of the agency's traditional background checks. 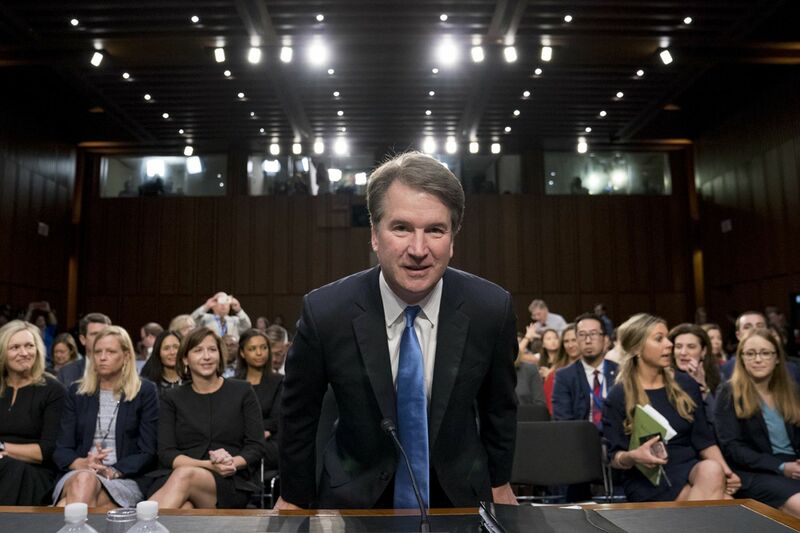 But he also made clear he would oppose Kavanaugh regardless, citing conservative think tanks' prominent role in his selection and a fear that he would side with corporations. "Judge Kavanaugh became objectionable even before his record — the full record — was on the table," Casey told the Inquirer Editorial Board. Toomey, in a later interview, said that unless there is a "stunning new revelation," the chamber should vote on Kavanaugh after the Judiciary Committee hears from the nominee and his accuser. "This is the responsibility of the Senate now, and this is where this is going to be conducted," Toomey said. "I will look and listen very closely to whatever happens at a hearing, should it happen next week, but then, probably we should go ahead and vote." Toomey has previously said he expects to support Kavanaugh. Asked if there is a high bar for changing his mind, Toomey said: "That's probably a fair characterization." GOP leaders are determined to seat Kavanaugh. Senate Majority Leader Mitch McConnell assured people at a conference for social conservatives Friday: "We're gonna plow right through it and do our job." Ford and Senate Republicans were locked in negotiations Friday over when and how she might testify. Concerned that Republicans won't take her accusations seriously, she has called for the FBI to investigate.